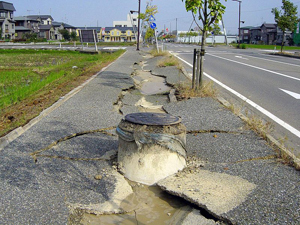 While earthquakes are rare occurrences in Canada, knowing how to prepare for an earthquake can be important when travelling in countries where earthquakes are more frequent. In the event of an earthquake, there are a number of accepted safety practices which could save your life. To help you understand what to do if you encounter an earthquake on your travels or, perhaps, in Canada, we've compiled a list of some of those practices. The safest places in your home are under desks and archways and in hallways, corridors and corners. Avoid windows, which are prone to shattering, as well as cupboards and shelving units which could empty their contents in the event of an earthquake. In general, the most dangerous aspect of an earthquake is falling objects and collapsing structures; if you feel an earthquake, get to the strongest support structure you can find that is far from falling objects. If you're outside, stay clear of buildings and get to the most open space you can find. If you're in an urban setting, either find an open space or go inside a sturdy structure. Avoid areas around buildings where falling debris could strike you. Design a strategy for dealing with an earthquake, and test your children on it regularly. Teach them how to react to an earthquake and designate a meeting place if you lose contact with them. In addition, help them to memorize important emergency and family phone numbers. Stay tuned to radio stations for directions on where evacuations are taking place, and how to get to safe zones. If cell phone towers are still up, use your 3G connection to find alerts online.